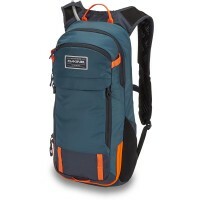 Compact, lightweight and surprisingly spacious : the Dakine Syncline 12L makes the hearts of mountain bikers beat faster. The bike backpack impresses with its minimal weight of just 600 grams and its snug, compact fit . 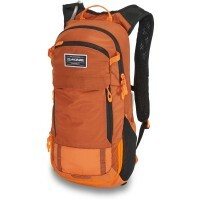 As a result, it clings comfortably to the back and does not bother when going uphill or downhill. The main compartment fits the change clothes , the soft glasses front pocket the sunglasses and the special front compartments important items like the repair kit. a back protector can be integrated . Protectors can be attached to special brackets. All this makes life for mountain bikers and downhillers a lot safer and more comfortable. 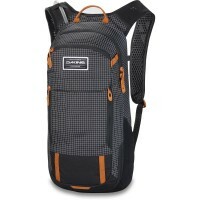 The Dakine cycling backpack heralds a new generation of comfort, lightweight and functionality. With helmet carry for your bike or ski helmet. 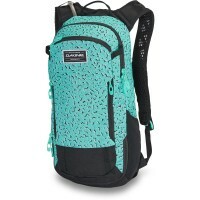 Customer evaluation for "Dakine Syncline 12L Bike Backpack Black"